The Ball family’s time in Lithuania has come to an end, and it’s for a familiar reason. 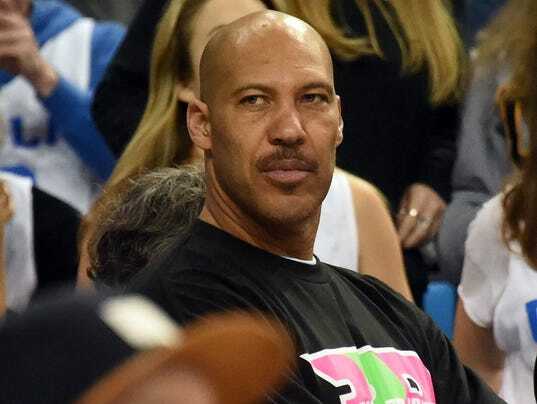 According to Lithuanian basketball journalist Donatas Urbonas, LaVar Ball is pulling his sons, LiAngelo and LaMelo, out of Lithuania with two LKL games left in the season after he couldn’t overcome his issues with Vytautas head coach Virginijus Seskus. LiAngelo, who became a leading scorer in the LKL, had missed time recently due to an ankle injury, but LaMelo had not seen much playing time in top-league LKL action, angering LaVar. It got to the point where LaVar had seen enough. LaVar wanted to make it clear that the issues had nothing to do with Lithuania or the organization. He solely had a problem with the head coach. LaMelo averaged just 12 minutes per game in LKL play, scoring 6.5 points on a dismal 26.8 percent shooting. A majority of his playing time came in Big Baller Brand exhibition games against subpar competition. While LiAngelo has declared for the NBA draft (he’s not expected to get drafted), LaMelo won’t be eligible for another two years. Without a team, he’ll be in the similar basketball limbo that LaVar put him in after pulling him out of high school. Given how any team that takes on LaMelo would have to deal with LaVar’s demands (and the drama that comes with the Ball family), it could very well be a struggle for LaMelo to land with any top European club.